He founded three academic wireless research centers at Virginia Tech, University of Texas, and NYU that have produced thousands of engineers and educators since 1990, and has co-authored over 300 papers and twenty books, including the most cited books on wireless communications, adaptive antennas, wireless simulation, and millimeter-wave communications. He co-founded two wireless companies, TSR Technologies and Wireless Valley Communication, which were sold to publicly traded companies, and has advised many others. He co-founded the Virginia Tech Summer School and Wireless Symposium in 1991, the Texas Wireless Summit in 2003, and the Brooklyn 5G Summit (B5GS) in 2014. He has more than 100 patents, has served on the Technological Advisory Council of the Federal Communications Commission (FCC), is Fellow of the IEEE, Fellow of the Radio Club of America, Fellow of the National Academy of Inventors, a life member of the American Radio Relay League, a licensed professional engineer in Texas and Virginia, and an amateur radio operator (N9NB). He has received ASEE’s Terman award, the IEEE Vehicular Technology Society’s James R. Evans Avant Garde and Stu Meyer awards, the IEEE Education Society William E. Sayle award for achievement in education, the IEEE Communications Society Armstrong award, the Sir Monty Finniston Medal from the Institute of Engineering and Technology (IET), and the Armstrong medal from the Radio Club of America. To reach Prof. Rappaport, please contact Leslie Cerve, by phone at 212-998-3026 or Pat Donohue at 646-997-3403. Microwave Journal is now providing Professor Ted Rappaport’s 2-day online course, slides and eBook. Previously recorded by IEEE Com Soc, the course covers the fundamental communications, circuits, antennas and propagation issues surrounding emerging 60 GHz wireless LAN and mmWave cellular/backhaul applications. The course, notes and eBook bundle is $499 for individuals and $399 for orders of 10 or more people. Visit www.microwavejournal.com/5Gcourse for more information and ordering. Visit Professor Rappaport’s class page for more information on his current class. The official website for the 2nd edition of Wireless Communications: Principles & Practice is available at http://authors.phptr.com/rappaport. The site includes helpful supplemental downloads for academic and industry course instructors. This book is the world’s most popular textbook for wireless communication engineering, and has been used by over 300 universities and companies in classes and short courses. Pearson/Prentice Hall’s Communications Engineering and Emerging Technologies book series features over 20 books in communications and information technology from the world’s leading authors. Award-winning books that cover the technical areas of circuits, simulation, cognitive radio, propagation, space-time channels, communications, wireline and wireless standards, antennas, networks, and emerging future trends, as well as all aspects of communications engineering are included in this book series. Pearson/PH is the Number 1 book publisher for industry and academia – contact me if you wish to have a book title considered for publication. Professor Ted Rappaport is in search of prospective authors for the Prentice Hall PTR “Communications Engineering and Emerging Technologies” book series. Click here for more information. C. N. Barati, S. A. Hosseini, S. Rangan, P. Liu, T. Korakis, S. S. Panwar, T. S. Rappaport, “Directional Cell Discovery for Millimeter Wave Cellular Networks,” IEEE Trans. Wireless Comm, August 2015. N. Barati, S. Hosseini, S. Rangan, P. Liu, T. Korakis, T.S. Rappaport, et al. “Beam steering in millimeter wave cellular networks,” IEEE Transactions on Wireless Communications, March 2015. C. N. Barati, S. A. Hosseini, S. Rangan, P. Liu, T. Korakis, S. S. Panwar, T. S. Rappaport, “Directional Cell Search for Millimeter Wave Cellular Networks,” IEEE Trans. Wireless Communications, vol. 14, no. 12, pp. 6664–6678, 2015. T.S Rappaport, “Wireless Communications in the Massively Broadband registered Era,” Microwave Journal 55.12 (2012): 46-48. T. S. Rappaport, Y. Qiao, J. I. Tamir, J. N. Murdock, and E. Ben-Dor, “Cellular broadband millimeter wave propagation and angle of arrival for adaptive beam steering systems,” 2012 IEEE Radio and Wireless Symposium (RWS), pp. 151-154, Jan. 2012. T. S. Rappaport, S. DiPierro and R. Akturan, “Analysis and Simulation of Interference to Vehicle-Equipped Digital Receivers From Cellular Mobile Terminals Operating in Adjacent Frequencies,” IEEE Transactions on Vehicular Technology, vol. 60, no. 4, pp. 1664-1676, May 2011. C. H. Park, R. W. Heath, T. S. Rappaport, “Frequency Domain Channel Estimation and Equalization for Continuous Phase Modulations with Superimposed Pilot Sequences,” IEEE Transactions on Vehicular Technology, Vol. 58, Issue 9, November 2009, pp. 4903-4908. T. S. Rappaport, “Realizing Gbps Wireless Personal Area Networks,” Guest Editorial IEEE JSAC, vol. 27, no. 8, pp. 1313-17, 2009. J. K. Chen, G. de Veciana, T. S. Rappaport, “Site Specific Knowledge and Interference Measurement for Improving Frequency Allocations in Wireless Networks,” IEEE Transactions on Vehicular Technology, Vol. 58, Issue 5, June 2009, pp. 2366-2377. C. Na, T. S. Rappaport, “IEEE 802.11 wireless LAN traffic analysis: A cross-layer approach,” University of Texas, 2005. T. S. Rappaport, “A Practical Guide for Network Designers and Developers,” IEEE Comms Magazine, March 2009. 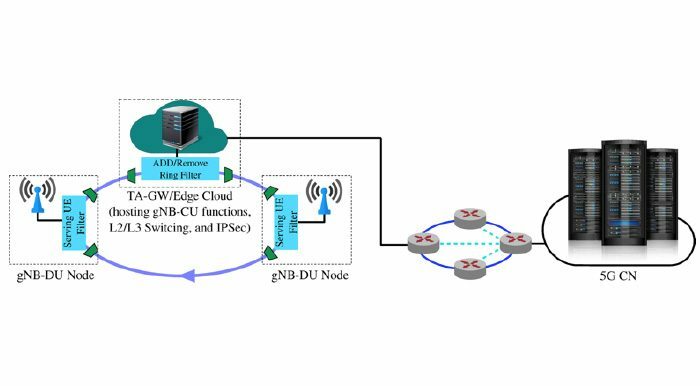 C. H. Park, T. S. Rappaport, “Short-Range Wireless Communications for Next-Generation Networks: UWB, 60 GHz Millimeter Wave PAN, and Zigbee,” IEEE Wireless Communications Magazine, Vol. 14, Issue 4, August 2007, pp. 70-78. C. Na, J. K. Chen, T. S. Rappaport, “Measured Traffic Statistics and Throughput of IEEE 802.11b Public WLAN Hotspots with Three Different Applications,”IEEE Transactions on Wireless Communication, Vol. 5, No. 11, November 2006, pp. 3296-3305. T. Kim, J. G. Andrews, J. Kim, and T. S. Rappaport, “Multi-code Multicarrier CDMA: Performance Analysis,” Journal of Communications Software and Systems, special issue on Future Wireless Systems, No. 1, March 2006, pp. 12-19. H. Wang and T. S. Rappaport, “A Parametric Formulation of the UTD Diffraction Coefficient for Real-Time Propagation Prediction Modeling,” IEEE Antennas and Wireless Propagation Letters (AWPL), Vol. 4, August 2005, pp. 253-257. J. He, A. Verstak, L. T. Watson, C. A. Stinson, N. Ramakrishnan, C. A. Shaffer, T. S. Rappaport, C. R. Anderson, K. Bae, J. Jiang, and W. H. Tranter, “Globally Optimal Transmitter Placement for Indoor Wireless Communication Systems,” IEEE Transactions on Wireless Communications, Vol. 3, No. 6, November 2004, pp. 1906-1911. C. Na and T. S. Rappaport, “Measured wireless LAN public hotspot traffic statistics,” in Electronics Letters, vol. 40, no. 19, pp. 1202-1203, 16 Sept. 2004. R. R. Skidmore, A. Verstak, N. Ramakrishnan, T. S. Rappaport, L. T. Watson, J. He, S. Varadarajan, C. A. Shaffer, J. Chen, K. Kyoon Bae, J. Jiang, and W. H. Tranter, “Towards Integrated PSEs for Wireless Communications: Experiences with the S^4W and SitePlanner Projects,” ACM SIGMOBILE Mobile Computing and Communications Review, Vol. 8, No. 2, April 2004, pp. 20-34. S. Shakkottai, T. S. Rappaport, P. C. Karlsson, “Cross-Layer Design for Wireless Networks,” IEEE Communications Magazine, Vol. 41, No. 10, October 2003, pp. 74-80. T. S. Rappaport, “The evolution of ultra wide band radio for wireless personal area networks,” High Frequency Electronics 2 5 (pp. 22-32). B. Li, H. Lee, N. Kamat, D. Menchaca, T. S. Rappaport “An Overview of Wireless Networks and Security Issues For WiFi Networks,” New Technology, Sept. 2003. A. Verstak, N. Ramakrishnan, L. T. Watson, J. He, C. A. Shaffer, K. K. Bae, J. Jiang, W. H. Tranter, T. S. Rappaport,”BSML: A Binding Schema Markup Language for Data Interchange in PSEs, Scientific Programming,” Vol. 11, No. 3, August 2003, pp. 199-224. V. Monga, S. Subramanian, S. Govindaraju, R. Kar, T. S. Rappaport, “Channel Statistics of a CDMA System with Closed Loop Power Control,” The University of Texas at Austin, May 2003. G. D. Durgin, V. Kukshya, T. S. Rappaport, “Wideband Measurements of Angle and Delay Dispersion for Outdoor and Indoor Peer-to-Peer Radio Channels at 1920 MHz,” IEEE Transactions on Antennas and Propagation, Vol. 51, No. 5, May 2003, pp. 936-944. Sanjay Shakkottai and Theodore S. Rappaport, “Research Challenges in Wireless Networks: A Technical Overview,” invited presentation,International Symposium of Wireless Personal Multimedia Communications Proceedings, Honolulu, HI, October 27-30, 2002. G. D. Durgin, T. S. Rappaport, D. A. de Wolf, “New Analytical Models and Probability Density Functions for Fading in Wireless Communications,” IEEE Transactions on Communications”, Vol. 50, No. 6, June 2002, pp. 1005-1015. J. He, A. Verstak, L. T. Watson, T. S. Rappaport, C. R. Anderson, N. Ramakrishnan, C. A. Shaffer, W. H. Tranter, K. Bae, J. Jiang, “Global Optimization of Transmitter Placement in Wireless Communication Systems,” Virginia Polytechnic Institute and State University, May 2002. T.S. Rappaport, A. Annamalai, R.M. Burrrrarrz, W.H. Tranter “Wireless Communications: Past Events and a Future Perspective,” IEEE Comms Magazine, May 2002. T. S. Rappaport, A. Annamalai, R. M. Buehrer, W.H. Tranter, “Wireless Communications: Past Events and a Future Perspective,” IEEE Communications Magazine, 50th Anniversary Issue, May 2002, pp. 148-161. P. Petrus, J. Reed, T. S. Rappaport, “Geometrical-based Statistical Macrocell Channel Model for Mobile Environments,” IEEE Transactions on Communications, Vol. 50, No. 3, March 2002, pp. 495-502. P. Cardieri, T. S. Rappaport, “Channel Allocation In SDMA Cellular Systems,” Fall2001 IEEE Vehicular Technology Conference, Atlantic City, NJ, October 7-11,2001, Vol. 1, PP· 399-403. G. D. Durgin, V. Kukshya, T. S. Rappaport, “Joint Angle and Delay Spread Statistics for 1920 MHz Peer-to-Peer Wireless Channels,” IEEE AP-S/URSI Symposium, Boston, MA, July 8-13, 2001. A. Verstak, M. Vass, N. Ramakrishnan, C. A. Shaffer, L. T. Watson, K. K. Bae, J. Jiang, W. H. Tranter, and T. S. Rappaport, “Lightweight Data Management for Compositional Modeling in Problem Solving Environments,” Proceedings of High Performance Computing Symposium, Seattle, WA, April 2001, pp. 148-153. P. Cardieri, T. S. Rappaport, “Application of Narrow-Beam Antennas and Fractional Loading Factor in Cellular Communication Systems,” IEEE Transactions on Vehicular Technology, Vol. 50, No. 2, March 2001, pp. 1-11. G. D. Durgin, T. S. Rappaport, “Theory of Multipath Shape Factors for Small-Scale Fading Wireless Channels,” IEEE Transactions on Antennas and Propagation, Vol. 48, No. 5, May 2000, pp. 682-693. H. Xu, R. J. Boyle, T. S. Rappaport, J. H. Schaffner, “Measurements and Models for 38 GHz Point-to-Multipoint Radiowave Propagation,” IEEE Journal on Selected Areas in Communications: Wireless Communications Series, Vol. 18, No. 3, March 2000, pp. 310-321. H. Xu, T. S. Rappaport, R. J. Boyle, J. H. Schaffner, “38-GHz Wide-Band Point-to-Multipoint Measurements Under Different Weather Conditions,” IEEE COMMUNICATIONS LETTERS, VOL. 4, NO. 1, JANUARY 2000. G. D. Durgin, T. S. Rappaport, “Three Parameters for Relating Small-Scale Temporal Fading Statistics to Multipath Angle-of-Arrival,” 10th International Symposium on Personal, Indoor and Mobile Radio Communications, Osaka, Japan, September 12-15, 1999, pp. 1077-1081. T. S. Rappaport, R. A. Brickhouse, “A Simulation of Cellular System Growth and its Effect on Urban In-Building Parasitic Frequency Reuse,” IEEE Transactions on Vehicular Technology, Vol. 48, No. 1, January 1999, pp. 286-294. G. Durgin and T. S. Rappaport, “Basic relationship between multipath angular spread and narrowband fading in wireless channels,” in Electronics Letters, vol. 34, no. 25, pp. 2431-2432, 10 Dec 1998. J. H. Reed, K. J. Krizman, B D. Woerner, T. S. Rappaport, “An Overview of the Challenges and Progress in Meeting the E-911 Requirement for Location Service,” IEEE Personal Communications Magazine, Vol. 5, No. 3, April 1998, pp. 30-37. K. Blankenship, T. S. Rappaport, “Characteristics of Impulsive Noise in the 450 MHz Band in Hospitals and Clinics,” IEEE Transactions on Antennas and Propagation, Vol. 46, No. 2, February 1998, pp.194-203. R. Ertel, P. Cardieri, K. W. Sowerby, T. S. Rappaport, J. H. Reed “Overview of Spatial Channel Models for Antenna Array Communication Systems,” Special Issue: IEEE Personal Communications, Vol. 5, No. 1, February 1998, pp. 10-22. T. S. Rappaport, “An antenna pattern measurement technique using wideband channel profiles to resolve multipath signal components,” In Antenna Measurement Techniques Association 19th Annual Meeting and Symposium, Boston, MA, November 17-21, 1997. Z. Rong, P. Petrus, T. S. Rappaport and J. H. Reed, “Despread-respread multi-target constant modulus array for CDMA systems,” in IEEE Communications Letters, vol. 1, no. 4, pp. 114-116, July 1997. G. D. Durgin, N. Patwari, and T. S. Rappaport, “Improved 3D ray launching method for wireless propagation prediction,” Electronics Letters, vol. 33, no. 6, pp. 1412-1413, July 1997. P. Petrus, J. H. Reed and T. S. Rappaport, “Effects of directional antennas at the base station on the Doppler spectrum,” in IEEE Communications Letters, vol. 1, no. 2, pp. 40-42, March 1997. T. S. Rappaport, R. A. Brickhouse, “A Simulation Study of Urban In-Building Cellular Frequency Reuse,” IEEE Personal Communications Magazine, Vol. 4, No.1, February 1997, pp. 19-23. T. S. Rappaport, J. H. Reed, B. D. Woerner, “Position Location using Wireless Communications on Highways of the Future,” invited paper, IEEE Communications Magazine, Vol. 34, No. 10, October 1996, pp. 33-41. H. D. Sherali, C. M. Pendyala, T. S. Rappaport, “On the Optimal Location of Transmitters for Micro-Cellular Radio Communication System Design,” IEEE Journal on Selected Areas in Communications, Vol. 14, No. 4, May 1996, pp. 662-673. M. A. Panjwani, A. L. Abbott and T. S. Rappaport, “Interactive computation of coverage regions for wireless communication in multifloored indoor environments,” in IEEE Journal on Selected Areas in Communications, vol. 14, no. 3, pp. 420-430, Apr 1996. M. A. Panjawani, A. L. Abbott, T. S. Rappaport, “Interactive Computation of Coverage Regions for Wireless Communication in Multifloored Indoor Environments,” IEEE Journal on Selected Areas in Communications, Vol. 14, no. 3, March 1996, pp. 420-430. O. Landron, M. Feuerstein, T. S. Rappaport, “A Comparison of Theoretical and Empirical Reflection Coefficients for Typical Exterior Wall Surfaces in a Mobile Radio Environment,” IEEE Transactions on Antennas and Propagation, Vol. 44, No. 3, March 1996, pp. 341-351. J. B. Andersen, T. S. Rappaport and S. Yoshida, “Propagation measurements and models for wireless communications channels,” in IEEE Communications Magazine, vol. 33, no. 1, pp. 42-49, Jan 1995. T. S. Rappaport, “Antenna Effects on Indoor Obstructed Wireless Channels and a Deterministic Image-Based Wideband Propagation Model for In-Building Personal Communication Systems,” Int’l J. Wireless Info. Networks, vol. 1, no. 1, pp. 61-76, 1994. B. D. Woerner, J. H. Reed and T. S. Rappaport, “Simulation issues for future wireless modems,” in IEEE Communications Magazine, vol. 32, no. 7, pp. 42-53, July 1994. T. A. Russell, C. W. Bostian and T. S. Rappaport, “A deterministic approach to predicting microwave diffraction by buildings for microcellular systems,” in IEEE Transactions on Antennas and Propagation, vol. 41, no. 12, pp. 1640-1649, Dec 1993. S. L. McCulley, T. S. Rappaport, “DSP Techniques for Cellular Paging and PCS Intercept,” 1993 Tactical Technologies and Wide Area Surveillance International Symposium, pp. 185-189, 1993-November-2-5. K. L. Blackard, T. S. Rappaport and C. W. Bostian, “Measurements and models of radio frequency impulsive noise for indoor wireless communications,” in IEEE Journal on Selected Areas in Communications, vol. 11, no. 7, pp. 991-1001, Sep 1993. T. S. Rappaport , A. S. Fox, “Improved design equations for part 15/ISM microstrip bandpass filters,” RF Design (pp. 33-44),Virginia Polytechnic Institute and State University, 1993. S. Y. Seidel and T. S. Rappaport, “914 MHz path loss prediction models for indoor wireless communications in multifloored buildings,” in IEEE Transactions on Antennas and Propagation, vol. 40, no. 2, pp. 207-217, Feb 1992. S. Y. Seidel, T. S. Rappaport, S. Jain, M. L. Lord and R. Singh, “Path loss, scattering and multipath delay statistics in four European cities for digital cellular and microcellular radiotelephone,” in IEEE Transactions on Vehicular Technology, vol. 40, no. 4, pp. 721-730, Nov 1991. S. Y. Seidel, T. S. Rappaport, “Path Loss Prediction in Multifloored Buildings at 914 MHz,” Electronics Letters, vol. 27, no. 15, July 1991. T. S. Rappaport, S. Y. Seidel and K. Takamizawa, “Statistical channel impulse response models for factory and open plan building radio communicate system design,” in IEEE Transactions on Communications, vol. 39, no. 5, pp. 794-807, May 1991. D. A. Hawbaker and T. S. Rappaport, “Indoor wideband radiowave propagation measurements at 1.3 GHz and 4.0 GHz,” in Electronics Letters, vol. 26, no. 21, pp. 1800-1802, 11 Oct. 1990. T. S. Rappaport, “Factory Radio Communications,” RF Design, July 1989, p67. T. S. Rappaport, “Indoor radio communications for factories of the future,” in IEEE Communications Magazine, vol. 27, no. 5, pp. 15-24, May 1989. T. S. Rappaport and C. D. McGillem, “Characterising the UHF factory radio channel,” in Electronics Letters, vol. 23, no. 19, pp. 1015-1017, September 10 1987. T. S. Rappaport, “160 meter transmission line antenna,” Ham Radio Magazine, pp. 87-91, May 1985. 2015, ch. 7, pp. 157–170. G. Fettweis, T.S. Rappaport, M. Dohler, R. Irmer, T. Mahmoodi, “IEEE Workshop on 5G & Beyond – Enabling Technologies and Applications,” IEEE ICC 2015, June 8, London, UK. S. Deng, M. Samimi, and T. S. Rappaport, “28 GHz and 73 GHz millimeter-wave indoor propagation measurements and path loss models,” in 2015 IEEE International Conference on Communications (ICC) Workshops, June 2015, pp. 1244-1250. Q. Li, T. S. Rappaport et al., “Validation of a Geometry-Based Statistical mmWave Channel Model Using Ray-Tracing Simulation,” 2015 IEEE 81st Vehicular Technology Conference (VTC Spring), Glasgow, 2015, pp. 1-5. Z. He, S. Mao and T. T. S. Rappaport, “Minimum time length link scheduling under blockage and interference in 60GHz networks,” 2015 IEEE Wireless Communications and Networking Conference (WCNC), New Orleans, LA, 2015, pp. 837-842. Q. C. Li, G. Wu and T. S. Rappaport, “Channel model for millimeter-wave communications based on geometry statistics,” 2014 IEEE Globecom Workshops (GC Wkshps), Austin, TX, 2014, pp. 427-432. T.S. Rappaport, “The Coming Renaissance of the Wireless Communications Age,” NYS Wireless Association Meeting, New York, NY, May 1, 2014. Ting Wu, T. S. Rappaport, “Biological Effects of Millimeter Waves: A Review of Current Knowledge,” IEEE Global Communications Conference, Exhibitions & Industry Forum (GLOBECOM), 8-12 December 2014. S. Rangan, T. S. Rappaport, E. Erkip, Z. Latinovic, M. Riza Akdeniz, Y. Liu, “Energy Efficient Methods for Millimeter Wave Picocellular Systems,” Communications Theory Workshop, Phuket, Thailand, June 25, 2013. T.S. Rappaport, “Millimeter Wave Cellular: A road to 5G,” IEEE ICC Plenary Presentation, June 11, 2013. T. S. Rappaport, J. N. Murdock “Power Efficiency and Consumption Factor Analysis for Broadband Millimeter-Wave Cellular Networks,” 2012 IEEE Global Communications Conference (Globecom), Anaheim, CA, December 2, 2012. J. Murdock, E. Ben-Dor, Y. Qiao, J. I. Tamir, T. S. Rappaport, “Cellular broadband millimeter wave propagation and angle of arrival for adaptive beam steering systems,” The University of Texas at Austin, 2012. J. I. Tamir, T. S. Rappaport, Y. C. Eldar, and A. Aziz, “Analog compressed sensing for rf propagation channel sounding,” in 2012 IEEE International Conference on Acoustics, Speech and Signal Processing (ICASSP), pp. 5317-5320, March 2012. V. K. Rajendran, J. N. Murdock, A. Duran, and T. S. Rappaport, “Concepts and implementation of a semantic web archiving and simulation system for RF propagation measurements,” in 2011 IEEE Vehicular Technology Conference (VTC Fall), pp. 1-5, Sep. 2011. K. Hassan, T. S. Rappaport ,and J. G. Andrews, “Analog Equalization for Low Power 60 GHz Receivers in Realistic Multipath Channels,” IEEE Global Communications Conference (Globecom), Miami, FL, Dec. 6-10, 2010. T. S. Rappaport, S. DiPierro, R. Akturan, “Analysis and Simulation of Adjacent Service Interference to Vehicle-Equipped Satellite Digital Radio Receivers From Cellular Mobile Terminals,” IEEE 72nd Vehicular Technology Conference Fall (VTC), Ottawa, Canada, Sept. 6-9, 2010, pp.1-5. “Millimeter-Wave and Terahertz Wireless RFIC and On-Chip Antenna Design: Tools and Layout Techniques,”Proceedings of IEEE First Workshop on Millimeter Wave and Terahertz Communications, in conjunction with IEEE Global Communications Conference (Globecom), Honolulu, HI, November 30-December 4, 2009. T. S. Rappaport, F. Gutierrez, “The Emerging World of Massively Broadband Devices: 60 GHz and Above,” Wireless Networking and Communications Group (WNCG), June 4, 2009. J. K. Chen, G. de Veciana, T. S. Rappaport, Improved Measurement-Based Frequency Allocation Algorithms for Wireless Networks, IEEE Global Communications Conference (GLOBECOM), Washington, DC, Nov. 26-30, 2007, pp. 4790-4795. J. K. Chen, T. S. Rappaport, and G. de Veciana, “Site Specific Knowledge for Improving Transmit Power Control in in Wireless Networks,” In Proc. IEEE Globecom, 2007. T. S. Rappaport, “IEEE Communications Society,” IEEE Communications, November 30, 2006. J. Chen, T. S. Rappaport, G. de Veciana, “Iterative Water-filling for Load-balancing in Wireless LAN or Microcellular Networks,” IEEE Vehicular Technology Conference (VTC), Melbourne, Australia, May 7-10, 2006, vol. 1, pp. 117-121. A. Mahimkar, T. S. Rappaport, “SecureDAV: A Secure Data Aggregation and Verification Protocol for Sensor Networks,” IEEE Global Telecommunications Conference (Globecom), Nov. 29-Dec. 3, 2004, vol. 4, pp. 2175-2179. C. Na, J. K. Chen, T. S. Rappaport, “Hotspot Traffic Statistics and Throughput Models for Several Applications,” Proceedings of IEEE Global Telecommunications Conference (Globecom) 2004, Dallas, TX, November 29-December 3, 2004, Vol. 5, pp. 3257-3263. B. Rengarajan, J. K. Chen, S. Shakkottai, T. S. Rappaport, “Connectivity of Sensor Networks with Power Control,” IEEE Asilomar Conference on Signals, Systems, and Computers, Pacific Grove, CA, November 9-12, 2003. S. Shakkottai and T. S. Rappaport, “Research Challenges in Wireless Networks: A TechnicalOverview,” invited presentation, Proceedings of International Symposium of Wireless Personal Multimedia Com.munications, Honolulu, HI, October 27- 30, 2002, Vol. I, pp. 12-18. C. R. Anderson, T. S. Rappaport, K. Bae, A. Verstak, N. Ramakrishnan, W. H. Tranter, C. A. Shaffer, L. T. Watson, “In-Building Wideband Multipath Characteristics at 2.5 & 60 GHz,” Proceedings of Fall 2002 Vehicular Technology Conference, Vancouver, Canada, September 24-29, 2002, pp.97-101. V. Kukshya, T. S. Rappaport, H. Izadpanah, G. Tangonan, R. A. Guerrero, J. K. Mendoza, B. Lee, Free-space “Optics & High-speed RF for Next Generation Networks,” Vehicular Technology Conference, Vancouver, Canada, September 24-29, 2002. T. S. Rappaport et al., “WCDMA STTD performance analysis with transmitter location optimization in indoor systems using ray-tracing technique,” Proceedings RAWCON 2002. 2002 IEEE Radio and Wireless Conference (Cat. No.02EX573), 2002, pp. 123-127. A. Verstak, J. He, L. T. Watson, N. Ramakrishnan, C. A Shaffer, T.S. Rappaport “S4W: Globally Optimized Design of Wireless CommunicationSystems,” Proceedings of 2002 Parallel and Distributed Processing Symposium, Fr. Lauderdale, FL, April 15-19, 2002, pp. 173-180. H. Xu, T. S. Rappaport, V. Kukshya, “Spatial and Temporal Characterization of 60 GHz Indoor Channels,” Fall 2000 IEEE Vehicular Technology Conference, Boston, MA, September 25-28, 2000, pp. 620-630. T. S. Rappaport, J. S. Tucker, “Wireless Channel Models and Simulators from Real-World Data,” 8th IEEE CAMAD International Workshop, June 22, 2000. P. Cardieri, T. S. Rappaport, “Statistics of The Sum of Lognormal Variables in Wireless Communications,” Vehicular Technology Conference, Tokyo, Japan, May 15-18, 2000,pp. 1823-1827. P. Cardieri, T. S. Rappaport, “Statistics of the Sum of Log-normal Variables,” IEEE Vehicular Technology Conference, Tokyo, Japan, May 15-18, 2000, pp. 1823-1827. G. D. Durgin, T. S. Rappaport, “Level-Crossing Rates and Average Fade Duration for Wireless Channels with Spatially Complicated Multipath Channels,” IEEE Global Communications Conference, Rio de Janeiro, Brazil, December 5-9, 1999, pp. 427-431. N. Patwari, G. D. Durgin, T. S. Rappaport, R. J. Boyle, “Peer-to-Peer Low Antenna Outdoor Radio Wave Propagation at 1.8 GHz,” 49th Annual International IEEE Vehicular Technology Conference, Houston, TX, May 16-19, 1999, pp. 371-375. G. D. Durgin, T. S. Rappaport, D. A. de Wolf, “More Complete Probability Density Functions for Fading in Mobile Communications,” 49th Annual International IEEE Vehicular Technology Conference, Houston, TX, May 16-19, 1999, pp. 985-989. P. Cardieri, T. S. Rappaport, “Combined Effects of Narrowbeam Antennas and Fractional Loading Factor in Cellular Communication Systems,” 49th Annual International IEEE Vehicular Technology Conference, Houston, TX, May 16-19, 1999, pp. 1074-1078. C. Kontogeorgakis, T. S. Rappaport, “Two-Branch Diversity Simulation of the Effects of Non-Zero Signal Correlation on the Average Fade Duration,” 49th Annual International IEEE Vehicular Technology Conference, Houston, TX, May 16-19, 1999, pp. 1774-1778. T. S. Rappaport, J. S. Tucker, “Third Generation (3G) Wireless: Where is it Going?,” Mobile and Portable Radio Research Group, Bradley Department of Electrical Engineering, Virginia Polytechnic Institute and State University Blacksburg, VA 24061. Peijun Shan and T. S. Rappaport, “Parallel interference cancellation (PIC) improvements for CDMA multiuser receivers using partial cancellation of MAI estimates,” IEEE GLOBECOM 1998 (Cat. NO. 98CH36250), Sydney,NSW, 1998, pp. 3282-3287 vol.6. D. M. Krizman, B. J. Ellison and T. S. Rappaport, “Modeling and simulation of narrowband phase from the wideband channel impulse response,” 1997 IEEE 47th Vehicular Technology Conference. Technology in Motion, Phoenix, AZ, 1997, pp. 67-71 vol.1. W. H. Tranter, J. H. Reed, B. D. Woerner, T. S. Rappaport, “The VT/UMR wireless communications curriculum,” Wireless and Mobile Radio Research Group, Bradley Department of Electrical Engineering, Virginia Polytechnic Institute and State University Blacksburg, Virginia. T. S. Rappaport, W. H. Tranter, J. H. Reed, B. D. Woerner, D. M. Krizman, “Curriculum Innovation for Simulation and Design of Wireless Communication Systems,” Proceedings of the 1996 ASEE Annual Conference. R. R. Skidmore, T. S. Rappaport and A. L. Abbott, “Interactive coverage region and system design simulation for wireless communication systems in multifloored indoor environments: SMT Plus,” Proceedings of ICUPC – 5th International Conference on Universal Personal Communications, Cambridge, MA, 1996, pp. 646-650 vol.2. R. Muhamed and T. S. Rappaport, “Comparison of conventional subspace based DOA estimation algorithms with those employing property-restoral techniques: simulation and measurements,” Proceedings of ICUPC – 5th International Conference on Universal Personal Communications, Cambridge, MA, 1996, pp. 1004-1008 vol.2. J. C. Liberti and T. S. Rappaport, “Accurate techniques to evaluate CDMA bit error rates in multipath channels with imperfect power control,” Proceedings of GLOBECOM 1995 Mini, 1995, pp. 33-37. T. S. Rappaport, “Future trends of mobile and personal communications,” Proceedings of 1995 SBMO/IEEE MTT-S International Microwave and Optoelectronics Conference, Rio de Janeiro, 1995, pp. 387-395 vol.1. S. Y. Seidel and T. S. Rappaport, “Site-specific propagation prediction for wireless in-building personal communication system design,” in IEEE Transactions on Vehicular Technology, vol. 43, no. 4, pp. 879-891, Nov 1994. M. J. Feuerstein, K. L. Blackard, T. S. Rappaport, S. Y. Seidel and H. H. Xia, “Path loss, delay spread, and outage models as functions of antenna height for microcellular system design,” in IEEE Transactions on Vehicular Technology, vol. 43, no. 3, pp. 487-498, Aug 1994. J. C. Liberti and T. S. Rappaport, “Analytical results for capacity improvements in CDMA,” in IEEE Transactions on Vehicular Technology, vol. 43, no. 3, pp. 680-690, Aug 1994. O. Landron, M. J. Feuerstein and T. S. Rappaport, “In situ microwave reflection coefficient measurements for smooth and rough exterior wall surfaces,” IEEE 43rd Vehicular Technology Conference, Secaucus, NJ, 1993, pp. 77-80. C. M. P. Ho and T. S. Rappaport, “Effects of antenna polarization and beam pattern on multipath delay spread and path loss in indoor obstructed wireless channels,” Universal Personal Communications, 1992. ICUPC ’92 Proceedings., 1st International Conference on, Dallas, TX, 1992. J. C. Liberti and T. S. Rappaport, “Statistics of shadowing in indoor radio channels at 900 and 1900 MHz,” MILCOM 92 Conference Record, San Diego, CA, 1992, pp. 1066-1070 vol.3. T. T. Tran and T. S. Rappaport, “Site specific propagation prediction models for PCS design and installation,” MILCOM 92 Conference Record, San Diego, CA, 1992, pp. 1062-1065 vol.3. 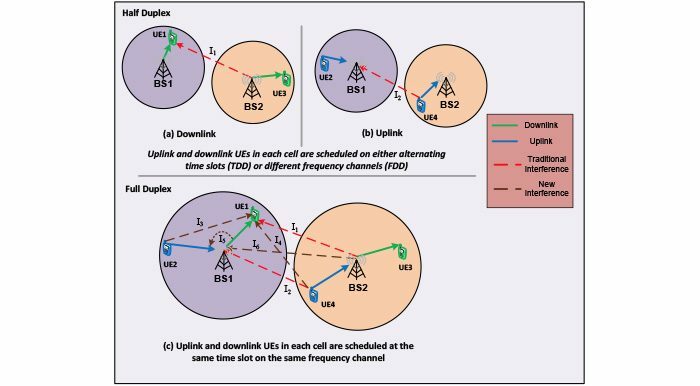 T. S. Rappaport and L. B. Milstein, “Effects of radio propagation path loss on DS-CDMA cellular frequency reuse efficiency for the reverse channel,” in IEEE Transactions on Vehicular Technology, vol. 41, no. 3, pp. 231-242, Aug 1992. T. A. Russell, T. S. Rappaport and C. W. Bostian, “Use of a building database in prediction of three-dimensional diffraction,” [1992 Proceedings] Vehicular Technology Society 42nd VTS Conference – Frontiers of Technology, Denver, CO, 1992, pp. 943-946 vol.2. K. R. Schaubach, N. J. Davis and T. S. Rappaport, “A ray tracing method for predicting path loss and delay spread in microcellular environments,” [1992 Proceedings] Vehicular Technology Society 42nd VTS Conference – Frontiers of Technology, Denver, CO, 1992, pp. 932-935 vol.2. S. Y. Seidel, T. S. Rappaport, M. J. Feuerstein, K. L. Blackard and L. Grindstaff, “The impact of surrounding buildings on propagation for wireless in-building personal communications system design,” [1992 Proceedings] Vehicular Technology Society 42nd VTS Conference – Frontiers of Technology, Denver, CO, 1992, pp. 814-818 vol.2. K. L. Blackard, M. J. Feuerstein, T. S. Rappaport, S. Y. Seidel and H. H. Xia, “Path loss and delay spread models as functions of antenna height for microcellular system design,” [1992 Proceedings] Vehicular Technology Society 42nd VTS Conference – Frontiers of Technology, Denver, CO, 1992, pp. 333-337 vol.1. W. Huang, T. S. Rappaport and M. J. Feuerstein, “Performance of decision feedback equalizers in urban and indoor mobile channels,” [1992 Proceedings] Vehicular Technology Society 42nd VTS Conference – Frontiers of Technology, Denver, CO, 1992, pp. 368-371 vol.1. L. B. Milstein, T. S. Rappaport and R. Barghouti, “Analysis of the mobile-to-base link in cellular CDMA,” [1992 Proceedings] Vehicular Technology Society 42nd VTS Conference – Frontiers of Technology, Denver, CO, 1992, pp. 486-489 vol.1. T. S. Rappaport and D. A. Hawbaker, “Effects of circular and linear polarized antennas on wideband propagation parameters in indoor radio channels,” Global Telecommunications Conference, 1991. GLOBECOM ’91. ‘Countdown to the New Millennium. Featuring a Mini-Theme on: Personal Communications Services, Phoenix, AZ, 1991, pp. 1287-1291 vol.2. T. S. Rappaport and V. Fung, “Simulation of bit error performance of FSK, BPSK, and π/4 DQPSK in flat fading indoor radio channels using a measurement-based channel model,” in IEEE Transactions on Vehicular Technology, vol. 40, no. 4, pp. 731-740, Nov 1991. V. Fung and T. S. Rappaport, “Bit-error simulation of π/4 DQPSK in flat and frequency-selective fading mobile radio channels with real time applications,” ICC 91 International Conference on Communications Conference Record, Denver, CO, 1991, pp. 553-557 vol.2. K. L. Blackard, T. S. Rappaport and C. W. Bostian, “Radio frequency noise measurements and models for indoor wireless communications at 918 MHz, 2.44 GHz, and 4.0 GHz,” ICC 91 International Conference on Communications Conference Record, Denver, CO, 1991, pp. 28-32 vol.1. S. Y. Seidel and T. S. Rappaport, “900 MHz path loss measurements and prediction techniques for in-building communication system design,” [1991 Proceedings] 41st IEEE Vehicular Technology Conference, St. Louis, MO, 1991, pp. 613-618. J. C. Liberti, T. S. Rappaport and J. G. Proakis, “Evaluation of several adaptive algorithms for canceling acoustic noise in mobile radio environments,” [1991 Proceedings] 41st IEEE Vehicular Technology Conference, St. Louis, MO, 1991, pp. 126-132. T. S. Rappaport and L. B. Milstein, “Effects of path loss and fringe user distribution on CDMA cellular frequency reuse efficiency,” Global Telecommunications Conference, 1990, and Exhibition. ‘Communications: Connecting the Future’, GLOBECOM ’90., IEEE, San Diego, CA, 1990, pp. 500-506 vol.1. D. A. Hawbaker and T. S. Rappaport, “Indoor wideband radio propagation measurement system at 1.3 GHz and 4.0 GHz,” 40th IEEE Conference on Vehicular Technology, Orlando, FL, 1990, pp. 626-630. S. Y. Seidel and T. S. Rappaport, “Simulation of UHF indoor radio channels for open-plan building environments,” 40th IEEE Conference on Vehicular Technology, Orlando, FL, 1990, pp. 597-602. T. S. Rappaport, S. Seidel, “Multipath Propagation Models for In-Building Communications,” IEEE 5th Intl. Conference on Mobile Radio and Personal Communications, University of Warwick, England, December 11-14, 1989, pp. 111-117. T. S. Rappaport, “Autonomous roving vehicle navigation, control and communication,” In 9th International Conference on Automation in Warehousing/6th International Conference on Automated Guided Vehicle Systems, Brussels, Belgium, October 25, 1988 (pp. 179-188). C. D. McGillem and T. S. Rappaport, “Infra-red location system for navigation of autonomous vehicles,” Proceedings. 1988 IEEE International Conference on Robotics and Automation, Philadelphia, PA, 1988, pp. 1236-1238 vol.2. T. S. Rappaport, “Delay spread and time delay jitter for the UHF factory multipath channel,” 38th IEEE Vehicular Technology Conference, Philadelphia, PA, 1988, pp. 186-189. Article in Business Week, “The Real Problem with Outsourcing” – November 7, 2006.